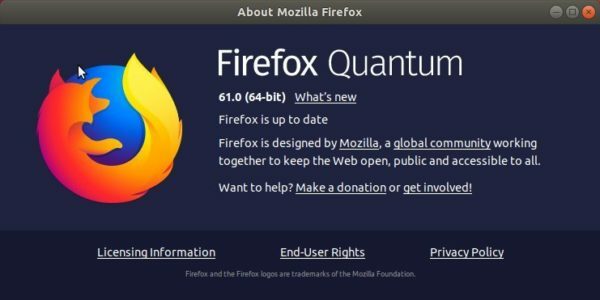 Mozilla Firefox 61.0 was released a few hours ago with further more performance improvements, new features, and safer online experience. Ability to add search engines to the address bar “Search with” tool from the page action menu. 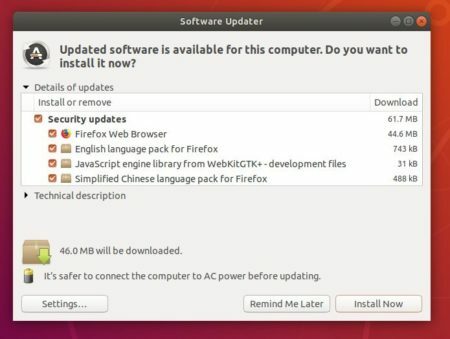 Ubuntu Mozilla team will package the new Firefox release, and publish it in updates / security repositories. The new release packages will be usually available in a few days, at that time you can install it via Software Updater.